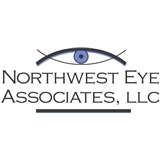 Northwest Eye Associates (Portland) - Book Appointment Online! The dedicated staff of Northwest Eye Associates truly cares about patients. We offer ophthalmology care in an intimate office setting with prompt, caring service. Our goal is to offer compassionate, state of the art eye care, as well as the education and attention each patient needs to understand diagnosis and treatment options. Dr. Jennifer Balentine, MD, is certified by the American Board of Ophthalmology. She offers a full range of ophthalmology services, including: · Complete Eye Exams for Children and Adults · Glasses and Contact Lens Fittings · Diabetic Retinopathy Diagnosis and Laser Treatment · Sutureless Cataract Surgery under Topical Anesthesia · Limbal Relaxing Incisions to Correct Astigmatism · Medical and Surgical Glaucoma Treatment · Corrective Eyelid Surgery And More!